In February 1890, Mr. and Mrs. Allen and Dorothy Jones were murdered at their farm outside of Millard. The killer shot the elderly couple, then buried them in a manure pile before stealing their horses and cows. The crime made early Omaha salivate for details, but I can’t find a complete retelling of the tale. So, here’s my history of the murders of Allen and Dorothy Jones near Millard in February 1890. The day after the killer was hung from the gallows with the county sheriff and a priest at his side, a mob of 15,000 watched on as an African American man was dragged from his cell and lynched. As heinous as the murders at the Pinney Farm were, they are merely a preface for the horrendous acts that followed. This is Pinney Farm, located on the road to Omaha near Millard in 1891. Pinney Farm was said to be a bucolic setting for the cattle that grazed there. Located a few miles from Doc George Miller’s Seymour Place castle near Millard, Allen and Dorothea (Dorothy) Jones were tending the place for someone else. After living with a son in Irvington, they’d moved to the Pinney Farm as a favor to their son-in-law. They were a spry couple, said to be full of vigor and eager caretakers of the farm and its animals. When they were murdered, Allen Jones was 71 years old, and Dorothy Jones was about 60. The killings happened on February 1, 1890. Farmer J. S. Jones of Shenandoah, Iowa, was the oldest son of Allen and Dorothy Jones; John Q. A. Jones, another farmer, was a younger son in Irvington; and Mrs. Dennis Cadwalader was their daughter. They shared the terrible job of identifying his parents’ bodies after they were recovered. This is Ed Neal, a suspected murderer, when he was arrested in 1890. Image from the October 10, 1891 Morning World-Herald. We might never know exactly who the killer Edward D. Neal was. Early reports said Ed Neal was a 24 year old male with high cheek bones who wore neatly cropped hair. When he was arrested, he had on sharp pants and black shoes, a black derby hat with a fancy coat and a silk scarf on top of his standing collar. Born in Rochester, New York, the places he admitted to living in included California, Colorado and Kansas City, Kansas, before getting sent to prison. He had several aliases, including Ed Neil, Thomas D. Livingston, John D. Caton, and Louis Arnold. He might’ve been related to a woman called Jo Clarke. Stories after his death, the newspaper said Neal was the son of a prostitute from St. Joseph called Rose Thorton. Turns out, Neal might’ve been born with an entirely different name in a totally different place. There was no way to confirm that though. According to the Morning World-Herald, letters between Neal and Jo Clarke examined after his death showed that he had come to Omaha from Jackson County, Missouri. He had been married and divorced there. This is the Pinney Farm barn where the body of Allen Jones was found. Dr. Pinney was a physician in Council Bluffs, and owned the farm. Pinney leased the farm to a man named A. D. Cadwalader, and he let the Jones to live at the farm. The Jones were his parents-in-law, and moved to the farm from Irvington. Samuel Root was a neighboring farmer to Pinney Farm, where Mr. and Mrs. Jones lived. Root’s son Charlie regularly saw the Jones on their farm, but hadn’t seen them for a few days, which led to the gruesome discovery of their murders. L. J. Carpenter was a livery stable keeper nearby. Theodore Mott was the foreman of Carpenter’s barn. Ed Neal showed up at Carpenter’s barn and offered to sell him several horses for $10 apiece, but Carpenter thought the deal was fishy so he didn’t buy them. Mott was hired by Neal to help drive a herd of cattle to the South Omaha stockyards. On February 5, 1890, Brainard, Manley and Carpenter paid Ed Neal $60 for 10 cows. William Dally and Company paid Neal $52.50 for the 10 cows they bought. Edwin Davis was a livery man who bought stock from Neal, too. The horses were left at Davis’ barn. This is the Pinney Farm barn and hay piles. The body of Dorothy Jones was found under one of the piles. When Omaha Police Chief Seavey picked him up in Kansas City, Neal had been arrested for horse stealing there. Apparently, he’d spent the money he gained from selling the Pinney Farm cows and horses on prostitutes, and needed more money so he stole more animals to sell. Getting caught, the K.C. police turned him over to Seavey for the murder charges. After his capture, Neal initially said that his job was to sell the cattle and meet up with Shellenberger in Humbolt, Iowa, where Shellenberger gave him $150. Neal said that afterward he left for Kansas City, and he didn’t know where Shellenberger went. Within days of his capture though, officials were determined that Shellenberger had nothing to do with the murders, and that Neal acted alone. When he got to Kansas City, he went to the Fountain Theater, which was apparently a brothel. There, he hooked up with Minnie Sullivan and gave her a ring. That ring belonged to Mrs. Jones and was obviously taken from her body, and is what led to Neal’s arrest. During the week of February 20, Omaha Police Chief Seavey got permission from the Omaha City Council to go to Kansas City, Kansas to bring back Ed Neal, who’d been arrested on a warrant for murder. Coming in on a train through Seymour Park, a reporter pointed out the Pinney Farm to the chief. This is the Webster Street Station where Ed Neal was escorted to by Chief Seavey of the Omaha Police Department. Chief Seavey brought Neal into Omaha on the Missouri Pacific Railroad. When he walked off the train in shackles at the Webster Street Station, Neal was greeted by a crowd of “thousands,” according to the World-Herald. Policemen lined the railroad to keep the crowds from swarming him, while Sargent Graves and Detective Vaughn protected him further. During his interrogations though, Neal changed his story, evaded questions about his true identity, and was generally a shifty character. The police quickly determined they might not know his real name, and when Neal refused to give much backstory or share his current place of residence, everyone became more suspicious. This is Joe Shellenberger in 1891. In 1888, Neal had been in the Logan County, Nebraska, jail with a man named Joe Shellenberger. Sometime after he’d been released from the pen, he made his way to Omaha when Shellenberger caught up with him. Suggesting he had an easy way to make a lot of money, Neal connected with him. Shellenberger was 5′ 4″ tall, 27 years old, and had a brown mustache. He was a “stoop shouldered” man. Neal originally said Shellenberger set up the crime and killed the Jones. The detective kept Shellenberger under close watch and under lock and key during the trip back, and the criminal barely said a thing. However, once they were back in Omaha Shellenberger sung like a bird. This is the second Douglas County Courthouse in Omaha, where the trial of Ed Neal was held in 1890-91. The trial happened. On May 14, 1890, the City of Omaha prosecutor J. J. Mahoney began making his case against Neal, with Judge J. R. Clarkson presiding over the trial. After not saying anything during his ride up to Omaha, when Shellenberger finally spoke his voice quivered and he was shaken. Under examination by Chief Seavey, he turned State’s witness and spoke against Neal easily. He said he’d never seen Neal outside of prison, and that he was in Nebraska City with an alibi when the murders happened. He repeated the same thing during the trial. He also said Neal never hired him to drive cattle, or vice versa. During his investigation, Chief Seavey also found out that Neal had been implicated in horse stealing from J. W. Holt in Lincoln. The case against Neal was dug deeper. This is the Union Stock Yards National Bank Building at 2900 “O” Plaza in South Omaha. Witnesses placed Neal at the scene of the crime; in downtown Omaha on Farnam Street with a gun on his side; in South Omaha at a hotel called the Wisconsin House; on the road to the Pinney Farm; at the Union Stock Yards Bank in South Omaha; at the public stockyards; and at a jewelry store in South Omaha. At the Henry Copert Jewelry Store in South Omaha, Neal sold a woman’s gold watch for $65, and got $9.50 for a ring. It was the same ring he’d given to the Kansas City prostitute, and that was owned by Mrs. Jones before she was murdered. It was produced in court and used to implicate Neal in the murder. A. J. Baldwin, who co-owned a clothing store in South Omaha called Wright and Baldwin, sold Neal clothes and a trunk. Neal was brought back to Omaha in clothes Baldwin recognized having sold him. Finally, Shellenberger was let off the hook. He testified that he went to the Pinney Farm with Neal; saw Neal shoot Mr. and Mrs. Jones, and helped him steal the horses and cattle. He said Neal gave him the revolver used to shoot the Jones, which he threw into a nearby creek. However, when cross-examined his testimony fell apart and the court began to suspect his mental condition. None of his testimony was allowed into evidence, and Shellenberger was set free. This is Ed Neal, convicted murderer facing death row, in 1891. Image from the October 10, 1891 Morning World-Herald. Allen Jones was shot twice, and his body was thrown next to a manure pile, where it was buried. Dorothy Jones was shot four times, and her body was buried in a hay pile. In addition to having possession of her ring, Neal was seen with a pistol before the murders and repeatedly placed at the scene of the crime and around it. 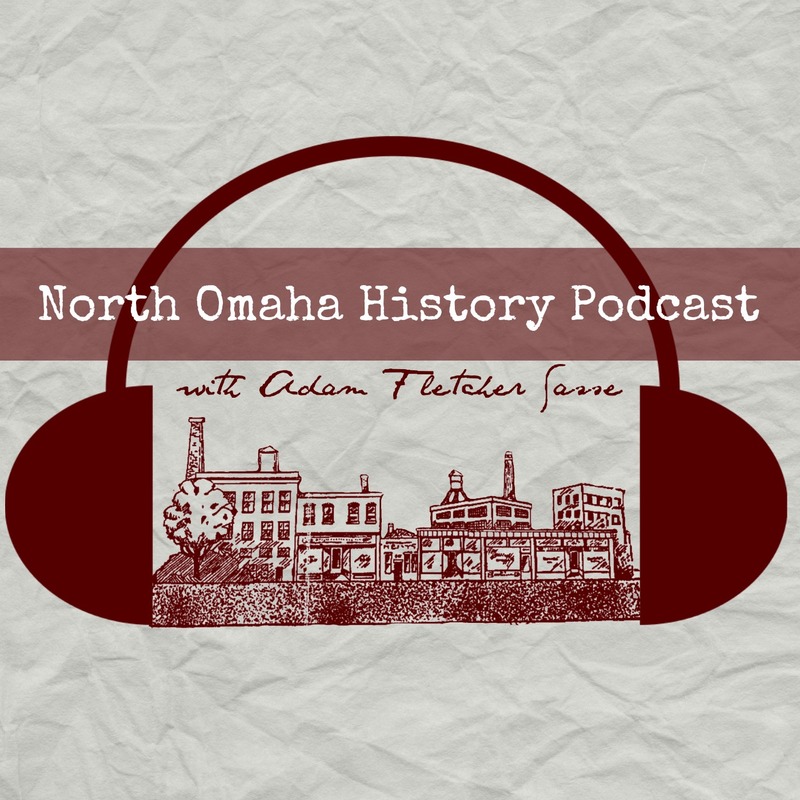 On May 22, 1890, the jury declared Neal guilty of first degree murder.” The case went to the Nebraska Supreme Court, and after they rejected it an execution was set for October 9, 1891. That morning, the crowds began gathering before dawn. By 11am, the neighboring Washington Hall and the Drummond Carriage factory across the street were packed with onlookers, and the newspaper estimated the crowd at several thousand. “Popcorn merchants and fruit peddlers drove a thriving trade among the crowd, which was kept in the streets by the deputies patrolling the wall of the courthouse yard.” J. Rudowsky of 1218 S. 12th St. built the gallows, which he’d done before for the execution of Cyrus Tator in 1863. Neal became a Catholic on his deathbed. After taking Mass with a priest and nuns, Neal ate a porterhouse steak, two fried eggs, mashed potatoes and bread, and a cup of coffee. Then, at 7am on a Friday, Neal was led to his death. From an enclosure next to the Douglas County jail at 18th and Harney, Neal made a full confession on the gallows. He admitted he did it and that nobody else was involved. Then, Sheriff John F. Boyd gave him a shot of whiskey and pulled the lever. According to tradition, the death penalty was administered and the body of Ed D. Neal was left hanging for 45 minutes. Afterward, Neal was declared dead and buried at the Holy Sepulchre Cemetery. Ed Neal was the 10th person executed after Nebraska gained statehood in 1867. After he was executed, newspaper stories told how Jo Clarke, who lived on North 9th Street, tried to break him out of jail twice. Using secret codes, the pair passed information back and forth, and she even gave him a key to the cell door. Obviously, none of the plans ever panned out. Another woman called Frankie Clifton was also implicated in his attempts, but no charges were ever pressed against either of them. After he was executed, an investigation showed that Neal may have been a member of Poke Wells’ gang of outlaws. In 1899, a farmer named Julian Bahaud of Nemaha County, Nebraska, was murdered. Apparently, Joe Shellenberger was put on trial several times for this crime, resulting in a Nebraska Supreme Court trial in 1913. Several of the key figures from the Jones murder trial were brought to the court to testify, including an Omaha Police Department captain named H. P. Hayes; the City of Omaha prosecutor J. J. Mahoney; and and George W. Leidigh, who owned a farm where Shellenberger worked at the time of the murder and provided an alibi for him in court. The mayor of Nebraska City, Mr. Chapman, gave testimony about Shellenberger’s family and upbringing. Apparently, as a boy Shellenberger was afflicted by St. Vitus’s dance and was a “very nervous boy.” He was uneducated, couldn’t read or write, and was known to move a lot and change jobs constantly. Because of his childhood and history, the trial was dismissed on the basis of his mental condition, and Shellenberger was allowed to go free. Digging further, I also found a story about an 1894 murder in Nebraska City involving a Lee Shellenberger, who murdered Joe’s sister, Maggie. Apparently Joe and Maggie inherited their mother’s possessions after her death, and Lee was upset about this. Neal was apparently buried at Holy Sepulchre Cemetery in Omaha under the name Charles E. Wells, born April 13, 1866, died October 9, 1891. This was used to stop grave robbers from stealing the corpse or parts of it. Despite all this story though, the murders of the Jones at the Pinney Farm were merely a convenient preface for Sheriff John Boyd to be distracted and Prosecutor J. J. Mahoney to be distracted. The day after Neal was hung, an African American named George Smith was dragged from his cell and lynched by a mob of 15,000. The Eden Musee was located at 55 West 23rd Street in Manhattan. On March 1, 1890, Neal was visited in his jail cell by Will Lawler, the manager of the Eden Musee. Eden Musee was a Victorian-era wax museum that told recent news by making scenes in 3D. Talking through the process, Lawler told Neal he was going to make his likeliness into a show character made of wax. The scene would portray the murder of the Jones to the New York City crowds that visited it, and Neal would become infamous in the city. Lawler made all the arrangements with Neal, but, I can’t find whether the exhibit was ever made, or if it was, what happened to it afterward. This is an ad for the Eden Musee Company display of Ed Neal, Allen Jones and Dorothy Jones. It was displayed in Omaha in 1891. According to the Morning World-Herald, more than 23,000 people viewed the corpse at the mortuary after the execution. Neal’s fame was at an all time high. That is why The Coliseum, which was located on North 20th Street in the Near North Side, bought the gallows where Neal was hung. They showed it at a convention later that year. At the time, the media made Neal out as a well-known cattle and horse rustler, but he wasn’t that well-known until they got a hold of his story. With their help, and maybe the help of the Eden Musee, Ed Neal got a slice of infamy, which may have been his real goal all along. This is the Douglas County jail, which stood from 1876 to 1912. Ed Neal was kept here before he was executed in 1891.